There’s no argument that a determining factor in any hairstylist’s success is the quality of product he or she delivers. If the colour, cut, and style is flawless, a hairdressing salon can anticipate repeat business. Because I, Ashley Howard, have been in and around the hairdressing salon business for nearly my entire life, I can personally attest to the fact that YES, hairdressers scissors matter. 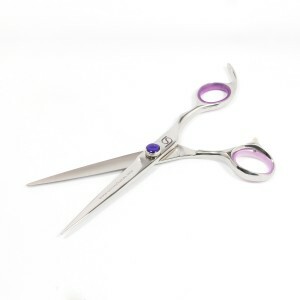 Hairdressers scissors blades manufactured in Germany are flat and straight with bevelled, serrated edges. They operate in a manner similar to that of a guillotine: they don’t slice cleanly. You might say, “Off with the hair!” just for effect as you attempt to create the perfect style with an imperfect tool. 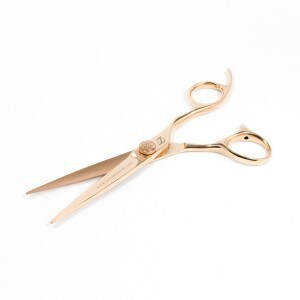 Hairdressers scissors blades produced in Japan are curved, convex (or honed), and hollow-ground. 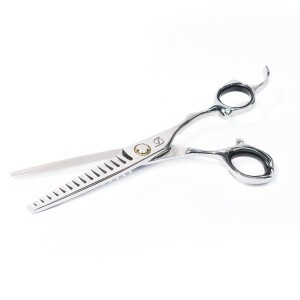 This allows for the hairdressers scissors to slice-cut cleanly for crisp, quick, straight lines with smooth and quiet slicing runs. The hairdressers scissors blades that are made in Germany are constructed of one piece of steel and are manufactured in only one day. Conversely, Japanese blades are made of two-piece construction and take up to two weeks to manufacture. At Scissorhands UK, our staff believe that this time difference stands in direct relation to quality differences. Japanese blades are lightweight, which enhances their comfort, speed, and precision. 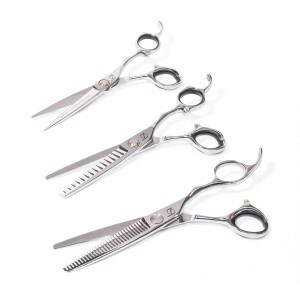 The honed, or convex, edge of Japanese hairdressers scissors blades are perfect for all kinds of haircutting, including dry cutting, wet cutting, slide cutting, wisping, taper cutting, and point cutting. 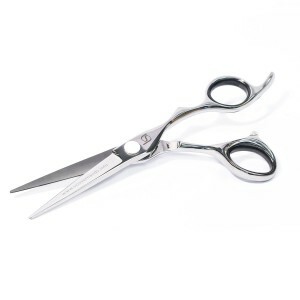 Japanese hairdressers scissors are not only more ergonomic because of their light weight, but because less force is required to cut through hair. I would never use anything but Japanese-manufactured hairdressers scissors, and because I believe wholeheartedly in every product Scissorhands UK sell, I won’t sell anything but hairdressers scissors of the Japanese variety. The sharpening of Japanese hairdressers scissors is best left to a professional who is familiar with the special processes involved in keeping convex blades at top performance. Because these blades are so sharp and thin, it is required that a hone line be ground into the edges’ hollows. Without this provision, the hairdressers scissors will become dull and will nick more quickly than usual. The run (the motion of closing the hairdressers scissors in a cut) will also be noisy and rough without this sharpening specification. To learn more about choosing the right hairdressers scissors or Scissorhands UK’s Hairdressers Scissors Care & Repair, simply call 01535 658 570, email Ashley, or visit our Facebook page. 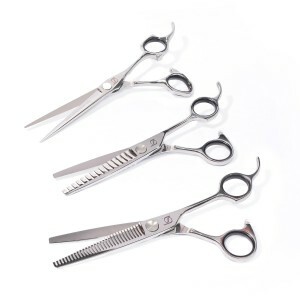 Scissorhands UK wants you to equip yourself with all the best tools of the trade, including Japanese hairdressers scissors, so that you can be the best you can be…every day.